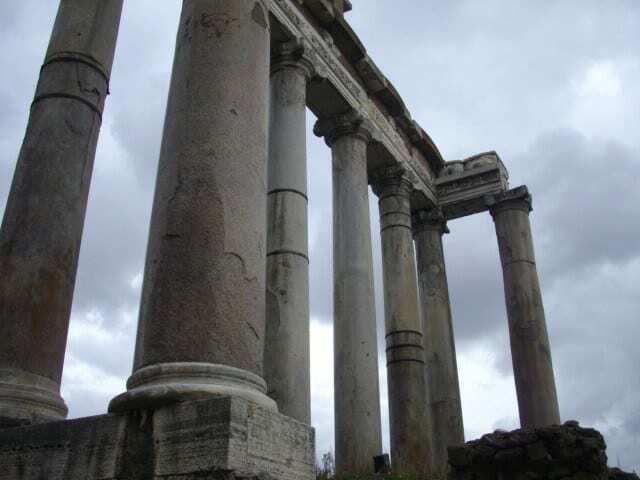 The Ionic columns of the ruined Temple of Saturn in the Roman Forum, Rome. Happy Saturnalia! 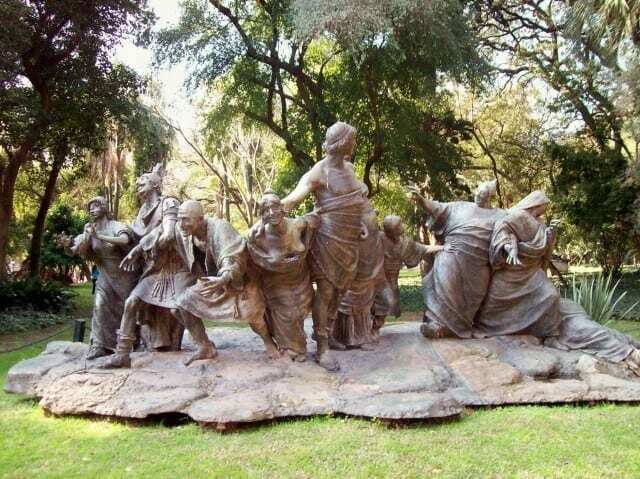 Yes today, 17 December, once marked the start of the Saturnalia festivities at which ancient Romans honoured their god Saturn. In fact it was the most popular holiday in the Roman calendar. The Roman poet Catullus went so far as to say these were “the best of days”. Celebrations included visiting friends and the giving of gifts; and slaves were permitted to do as they wished. Depending on which emperor you lived under, the holiday went on for up to seven days. Looking from the Capitoline Hill over the Roman Forum with the Temple of Saturn in the foreground. 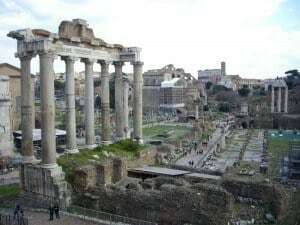 In Rome, the physical focus of the festivities was the Temple of Saturn, the most visible remains of which are the eight Ionic columns at the western end of the Roman Forum, just at the base of the Capitoline Hill. The cult of Saturn was already quite old, and it is thought that the first temple was dedicated on the very same spot in about 497 BC. The striking line of columns we see amongst the ruins of the Forum today are the remains of a later temple that was constructed sometime between 360 and 380 AD following a very destructive fire. The ruins of the temple’s façade are a good example of what is termed spoila, in re-building the temple builders made use of stone from other, older buildings. For example, the shafts of the standing columns were all created from shafts of stone that were once part of other architectural features. Of the eight columns, only three were created using a single, solid piece of stone. All the others were made by fixing together broken lengths – hence the bracing we see around the shafts today. The only fresh material used in rebuilding the temple’s façade was the white marble out of which the Ionic capitals were made. As the god of seed and sowing, and also associated with wealth and abundance, it is perhaps not surprising that a temple dedicated to Saturn housed the state treasury. Today the Temple of Saturn is part of the Roman Forum, and the entry fee covers both the Forum and the Palatine Hill. If you are sightseeing in Rome, I strongly recommend a Roma Pass, and for an excellent guide to the archaeology of Rome, Amanda Claridge’s Oxford Archaeological Guide of Rome is my choice.